Even from an early age, Dr Tony Goswell has been familiar with the world of dentistry. With an uncle and several family friends as dentists and mentors, it wasn’t long before he came to realise that a career in dentistry would give him the opportunity to do what he most enjoyed – meeting and helping other people. This combined neatly with his other love of working with his hands; the intricacies of dental work built upon the foundational skills he learned as a young boy avidly building models of all shapes and sizes. Considering dentistry challenges you every day to do your very best for other people, it wasn’t difficult for Tony to decide to join the profession. Tony earned a Bachelor of Dental Surgery from the highly competitive University of Sydney, graduating in 1980 with second class honours. Following this, he worked hard to master the skills of dentistry and quickly became a fellow of the Royal Australasian College of Dental Surgeons in 1987 by examination. Tony recognises that providing each and every patient with the highest level of care requires a commitment to lifelong learning. As such, he regularly takes continuing education courses to keep up to date with the latest research and innovations. 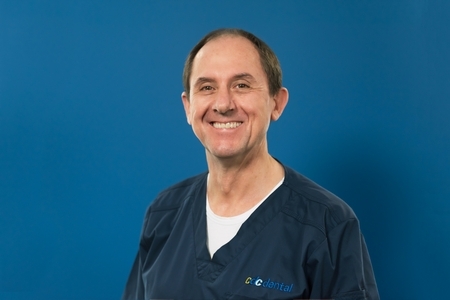 For the last several years, Tony has been called upon to be an examiner in general dentistry for the Royal Australasian College of Dental Surgeons. As well as feeling satisfied by the intellectual challenges of his chosen profession, Tony enjoys building a rapport and friendship with his patients. In addition to learning about their oral health, Tony is always keen to learn about a patient’s personal interests, their profession, and their family. He strives to ensure a comfortable and friendly environment in which to provide outstanding oral healthcare to everyone. When he’s not at the practice, Tony and his wife Prue enjoy swimming, running, playing tennis, and generally keeping fit, as well as spending time with their five children. Come and benefit from our decades of experience. Contact us today to book your time!